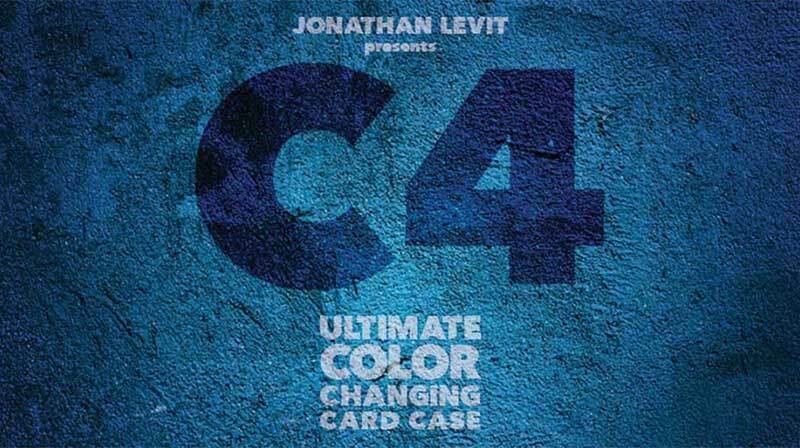 C4 is the ultimate color changing card case in which a case of playing cards changes from red to blue. It is the culmination of years of thought, trial and error, and a goal. The goal was to visibly change the color of a playing card case. But it wasn’t just to do that. It was to create a magical moment that was so clean and so fair that I would want it as part of my act. And now it is. C4 can be performed when the magician is ready. It doesn’t have to be done as soon as the playing cards are introduced. It’s so visual that it seems like real magic. C4 was created so that I could use it in my act. And I do. Every time. And it kills. Every time.